Have you ever left the house and fretted about leaving the garage door open? Don’t worry, I think we have all done it. With all of our busy lives it feels like we never have time to stop and make sure took care of everything before we left the house. Even worse, we don’t have time to turn around to see if we really did take care of everything, leaving us worrying throughout the day if we really did close the garage door and if we didn’t, did we lock the door in from the garage? 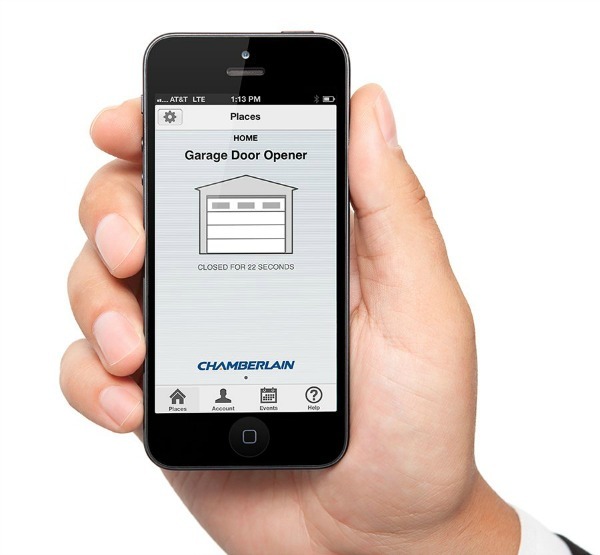 Being as absent minded as I am, I love when I find products to give me peace of mind – things like the Chamberlain MYQ Garage Opener, that allows you to easily open and close your garage door right from your smartphone! Chamberlain MYQ Garage: What is It? Looking for a way to make sure that your garage door is always closed? 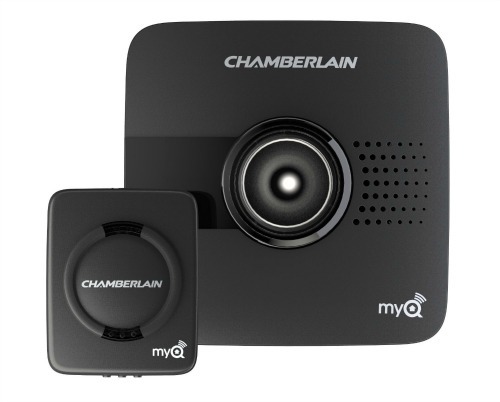 If so, we think you will love the Chamberlain MYQ Garage Door Opener. This innovative garage door opener allows you to control opening and closing your garage are door anywhere in the world using your home WiFi and your smartphone. Best of all, the free app even gives you notifications if your garage door was left open or was opened. As well, the entire system can be installed in minutes and comes with everything you need to install it on your current garage door. As well, this system has no monthly or ongoing service fees, making it a perfect addition to any household. I have to admit, this is a really cool piece of tech for homeowners. Not only is it easy to install, but gives all of us the peace of mind we need to guarantee our garage door is closed. I personally love that we can even open the garage door when we aren’t home, allowing family and friend to get in the garage to get things they needed. Of course, it is also nice having the garage door open by the time you get home. 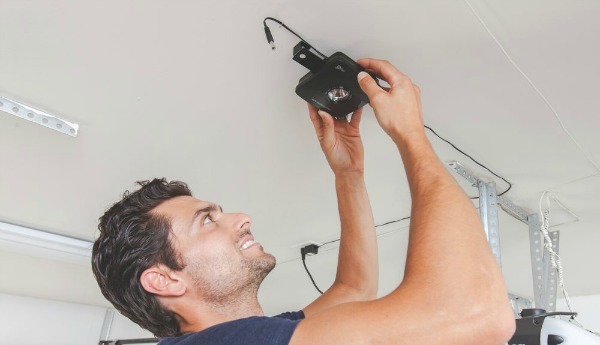 This cool little gadget is perfect for any homeowner and works with most garage door openers, making it a great house warming or Christmas gift! Would you like to purchase this awesome tool for your garage door to help give you or someone in your family peace of mind? You can buy the Chamberlain MYQ Garage for only $129.99 on the Chamberlain website or on Amazon.com.